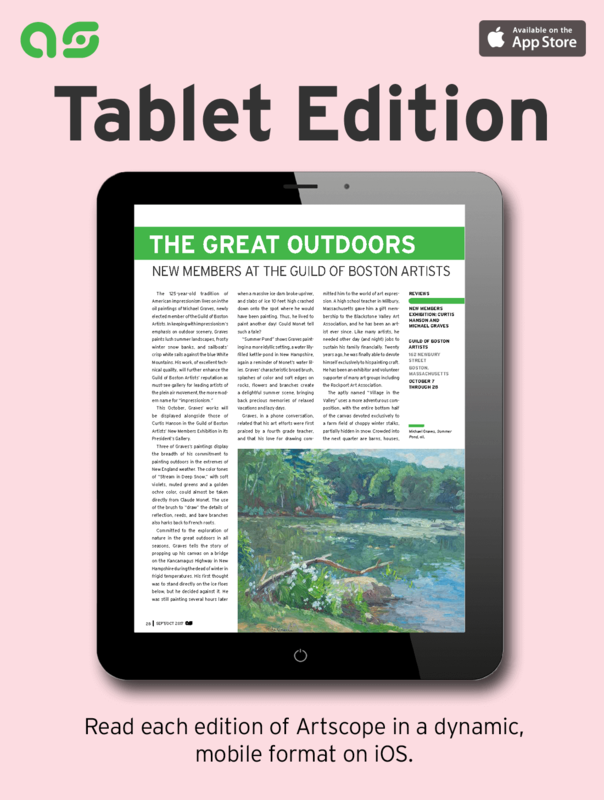 Culture comes alive in Artscope: a vibrant, dynamic magazine with arts news, reviews and relevant info, available around New England now! You’ll get the inside stories that you’ll enjoy reading on arts and cultural events from Maine to Cape Cod, Boston, and beyond. To fulfill your subscription, click one of the “Subscribe” buttons below. Your subscription will be added to your shopping cart. The options listed below are for the most recent issues from the most recent 12 months. Selecting the current month will send the current issue. If you would like to order copies from a prior year please call 617-639-5771. Email blasts include three reviews followed by sponsorship ads. Sign up and have special Artscope updates landing in your inbox every two weeks! Enjoy up-to-date news on the fine arts world with friendly, familiar and fun Artscope reviews on museums, galleries, art centers, art schools, and cultural events from around the region. Artscope email blast!s have been a staple of our publication since 2007. Miss a blast? Here are some past email blasts for you to catch up on and enjoy! Interested in sponsoring a blast? Sponsorships are available on a biweekly basis. For more information, contact advertise@artscopemagazine.com or call (617) 639-5771.